It seems that there is a competition in the firearms training industry to see who can run the training class with the highest round count. It’s not uncommon to see classes advertising that students will shoot 500+ rounds per day of class. That’s a huge number of rounds and begs the question why so many? Are students judging the value of courses by how many rounds are fired? Are instructors trying to one up each other by having the largest round count? Where it is especially curious is in instructor classes. As a baseline, the NRA Law Enforcement Firearms Instructor classes run for five days, including one night shoot, and average about 250 rounds per day. Each day of an NRA LE class is crammed full of learning and has a well thought out balance of range and classroom time. It is common to see 400+ per day round counts in 2 to 3 day civilian instructor schools. Is the 60%+ daily round count in these civilian classes really necessary? Ever been so fatigued that you pressed the trigger on what you knew was going to be a bad shot just so you could get the shooting over with? Being able to run the gun quickly and accurately is tremendously important. Unfortunately, FAR too much emphasis is given by many instructors on the hardware aspects of self-defense at the expense of the more important wetware aspects. This misplaced emphasis by instructors translates to students focusing on the gun while ignoring wetware training such as avoiding threats, detecting threats, strategically planning to dominate an encounter, and understanding use of force laws. We watch our shooters very carefully on the line; when we see them taking shots just to get it over with, their range time is done for the day. They have stopped learning and are just trying to get through it. Worse yet, safety is one of the victims of fatigue. 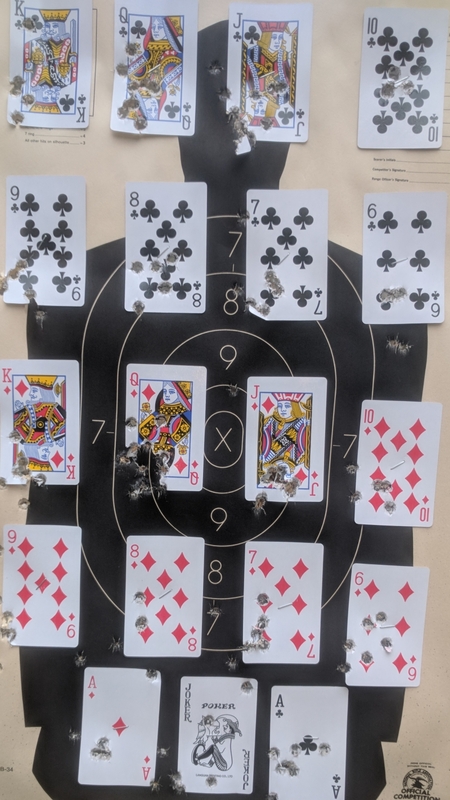 As a firearms Instructor, it’s important that you be a good shot. With that said, don’t waste time with excessive round counts in instructor training; the person there should already be a good shot (or shouldn’t be there). Make them a better instructor—they can take student classes if they want to become better shooters. When I go to a class, I want to learn about threat detection, avoidance, and elimination; the gun is only one part of that. When I go to an instructor class, I want to learn new information that makes me a better instructor and that makes me able to better equip my students for what they may face. What I don’t want to do in either situation is attend a class with an unnecessarily high round count, whether the instructor does so because they think self-defense is about a gun or whether they just don’t have enough worthy material to fill the class hours. Being in and around law enforcement and security for most of my adult life, I tend to exercise situational awareness when out in public as a matter of daily routine. We had plans in place when our kids were small, especially due to the very public spotlight on Doug’s career in online child exploitation investigations and the arrest and convictions of those people. For us, it was just a way of life. Most people don’t or have not had to live that life, but the lessons learned can apply to anyone. Now with grandchildren, that situational awareness is even higher. Now it’s not just about the kids, but about our kids and their kids. Watching how strangers react to our grandchildren and how our kids in turn react to the stranger. I’m a big proponent of distancing. Keeping enough space between me and a stranger to allow myself reactive time if the stranger, for whatever reason, decides to become a threat. When someone gets too close, my internal brain alarm goes off. I’m not a fan of crowds either. The same went for our kids in public. Pulling them back whenever they were practically nestled up on the hip of someone waiting in line, or too close when suddenly engaged by attention and conversation by a stranger, or just zoned out and not paying attention from a long day. Distance. For the first time an issue arose that, looking back, could have been handled differently. I was out with my daughter and grandchildren, we stopped to eat and took a table. They were seated with their back against the wall with me on the outside. There were tables lined down the wall, most filled. A guy came over, a bit disheveled, and began talking to us as if he had known us for years. I get that some people are like that and perfectly harmless. He could have been too. He sat at the table next to us so he was closest to the kids and immediately started interacting with them. Not us, them. He clearly had experience with kids in how to engage them for conversation and the ability to get them comfortable enough to answer questions. He got down to their level. Even so much as encouraging the youngest to howl like a wolf. This may all sound harmless and cute, but on the other hand, it felt like “grooming”. We ate quickly and left, but it compelled me to re-evaluate the way I handle those situations now. Next time, the kids will be buffered from the stranger. One of us (adult) will be in-between. Distance. There is a fine line between being socially kind and polite, and taking action on a possible threat. It’s hard. It means constant evaluation. It means reading body language. It means listening to what the stranger is saying. And not saying. It means allowing your natural instincts the ability to do its job (that gut feeling) and doing what it tells you. Before I go to a training class, I try to find out everything I can about what I’m going to learn, what I’m going to do, what is expected of me. I want to know how is the class going to help me toward reaching my goals and pretty much anything else that comes to mind. Hopefully this post will answer some of those questions for those of you that are contemplating becoming an NRA Instructor or already signed up for an NRA Instructor class. The NRA requires that the Instructor Candidate successfully complete the Basics of Pistol Shooting student class prior to the two day Instructor class. Effective 1/1/2018, the same is now true for all Instructor disciplines. The NRA Pistol Instructor class is two days with the first being Basic Instructor Training (BIT) and the second being the Pistol Instructor training. BIT is the NRA way of teaching a class and is very good. I was already a college professor before taking BIT and I found it helped me immensely in teaching. The second day delves into specifically teaching the NRA Basics of Pistol Shooting curriculum. Day two of the Instructor class is learning how to teach the class, not the actual information that is presented to the students—that was learned in the preceding student class. There are multiple exercises over the two days where the Instructor Candidates teach sections of the class. Each time an Instructor Candidate makes a presentation to the class, with the other’s playing the role of students, they are evaluated by their classmates. (This is why the NRA requires a minimum of four Instructor Candidates in an Instructor class.) The evaluation is conducted by the Training Counselor with the class first providing positives about the presentation, followed by improvements that can be made in the presentation style, and then the positives are reviewed. Negatives are not allowed in the evaluation. For example, saying that the presenter did a terrible job presenting the section is not allowed. Instead, an improvement that could be shared with the presenter might be to ensure that all of the important points of the section are covered. Each day has its own written examination. They are open book and require a minimum of 90% to pass. At the end of the class, those that have passed the two examinations, passed the shooting qualification, passed the firearm handling requirements, demonstrated an absolute commitment to safety, and demonstrated the knowledge, skills, and attitude necessary to be an NRA Pistol Instructor will be certified (after registering and paying a $50 non-member or $30 member certification fee). There is more to certification than paying for/attending a class. The class is for well experienced shooters. In order to become a certified NRA Instructor, you must demonstrate the knowledge, skills, and attitude necessary for an NRA Instructor. The class will require your active participation and attention. Merely attending the class does not guarantee that you will become certified; it provides you the opportunity to achieve certification. Instructor Candidates are expected to already have a firm knowledge of firearms and shooting. The NRA Pistol Instructor class is intended to teach candidates with that knowledge and skills how to teach the NRA Basics of Pistol Shooting course. The class is not a remedial shooting skills course—you should be able to pass the shooting qualification before you attend the class. (20 rounds fired from 45 feet at a nine inch target with a minimum of sixteen hits within a six inch circle.) If you can’t shoot to this level, seek out an Instructor that can help get you to this level before the class. Failing the qualification means not getting certified. One thing that many Training Counselors fail to stress is that being an NRA Certified Pistol Instructor does NOT mean that you are qualified to teach anything you would like to—actually, the NRA is only going to certify you to teach the Basics of Pistol Shooting student class (four different versions), a Gun Safety Seminar, a Women On Target class, and a laser marksmanship class— nothing more. Absent other instructing certifications, an NRA Pistol Instructor is way out of their lane in teaching anything beyond basic firearm safety and handling, the fundamentals of pistol shooting, and a few other basic topics. Teaching holster draw, concealed carry, and anything “tactical” is well beyond the limited instructor training they have received and potentially opens them up to substantial civil liability should one of their students discharge a firearm and cause an injury. An NRA Pistol Instructor desiring to be able to teach true concealed carry classes, which would include teaching drawing and firing from a holster, would need to go through the process to become certified to teach the NRA’s Personal Protection Outside The Home (PPOTH). That process involves first becoming an NRA Personal Protection In The Home Instructor (PPITH). As the NRA requires taking the student course of a discipline before taking the Instructor version, the order of classes for someone that is already a Pistol Instructor is: PPITH student > PPITH Instructor > PPOTH student (Basic & Advanced) > PPOTH Instructor. The first thing to understand is that the class is really three days worth of material forcefully compressed into two days. The pace has to be fast in order to meet all of the objectives. Some topics will only be touched upon and you will need to do your own studying after the class is completed. Above all, you need to be paying attention. Don’t expect this to be one of those classes where you can be a passive observer. NRA Instructor classes are highly interactive—you are expected be an active participant and will be presenting to the class multiple times. You’ll also be expected to work with your classmates to put together presentations. Hint: pay careful attention when you take the required Basics of Pistol Shooting class for students as you’re going to be expected to know the information taught there and are going to be teaching that same information during your Instructor class. The range portion of Day 2 is particularly fun and educational. The Instructor Candidates are paired up and take turns being the “student” and the “Instructor”. We have highly skilled shooters shoot with their non-dominant hand when playing the role of student. The idea of the range exercise is to give each Instructor Candidate an opportunity to help a “student” to correct any errors in the shooting fundamentals. Hopefully you noticed that I keep italicizing attitude. I do so to draw attention to how important your attitude is. NRA Instructors, first and foremost, should have a genuine desire to help others to learn how to safely handle, fire, and store firearms. They should want to help others to be safe, confident, and proficient gun owners and to help their students to reach their goals with firearms. I stress in my Instructor classes that they must focus on the needs of their students. They must put themselves into the students’ shoes and ensure they meet the students’ needs. Every class you teach will be different because every class will be made up of different people with different knowledge, skills, and attitudes—especially attitudes towards guns. By reminding the Instructor Candidates how nervous they feel in getting up in front of the class, they can empathize with the student that is nervous in handling a firearm, perhaps for the first time in their life. This post was quite long and had a lot of information in it—just like your Instructor class will be. Come prepared to have long days filled with learning! Training Counselor: One Night Stand or Relationship? 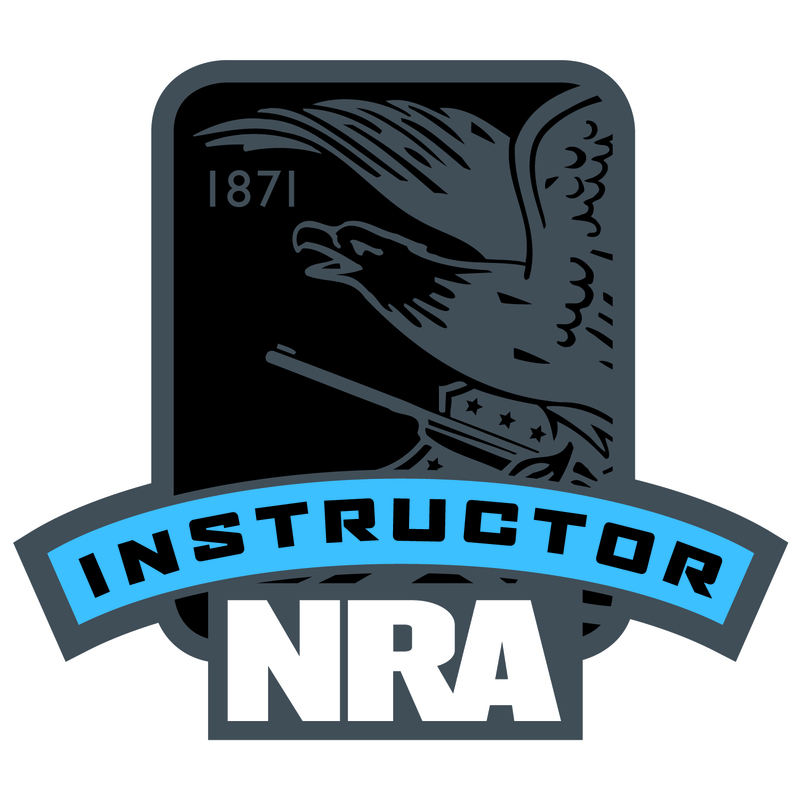 I’ve written before about choosing a firearms Instructor, but what about if you are looking to become or already are an NRA Instructor seeking a Training Counselor? (Training Counselors train Instructors.) The basics of choosing an Instructor apply to choosing a Training Counselor and links to my posts on the topic are at the bottom of this one. Are you only looking for a certificate, or are you seeking to be mentored? If you are only looking for a certificate, you can get that with any Training Counselor. If you are looking to truly learn the material and much more in order to be a great Instructor, seek out a great Training Counselor. If you’re seeking to choose a great Training Counselor, it should be a long term relationship. Paying attention to the factors outlined below won’t guarantee you find one, but it will substantially improve your odds. Do you want to take a class from someone that appears to be in witness protection, held at an undisclosed location that you’ll find out only after registering for the class? There is a very limited amount of text that can be placed into the comments section of a class listing on the NRA’s Instructor portal and it’s impossible to get a complete picture of the quality of a class from it. A Training Counselor can put website addresses into the comments, however, to lead a potential student to information sources. Evaluate what they put into the comments for the class: are the comments designed to give you information to make an informed choice; are the comments solely about classes they have taken; are there no comments, minimal comments, or aloof comments? One of the first steps to choosing a Training Counselor is to do an Internet search on their name and another on their business name (putting the name into quotes such as ” John Doe” often helps focus on the right person/company). What can be found in a few minutes spent doing research can be tremendously enlightening. Where are the classes being held? If it is an undisclosed location that will only be revealed after registering and you are seriously considering that Training Counselor, contact them to ask why they are concealing that information and the exact location BEFORE you register. You have a RIGHT to know where and in what environment a class will be held before you register for it. Do an Internet search for the address of the class. In some instances, you’ll find that it is the Training Counselor’s home. 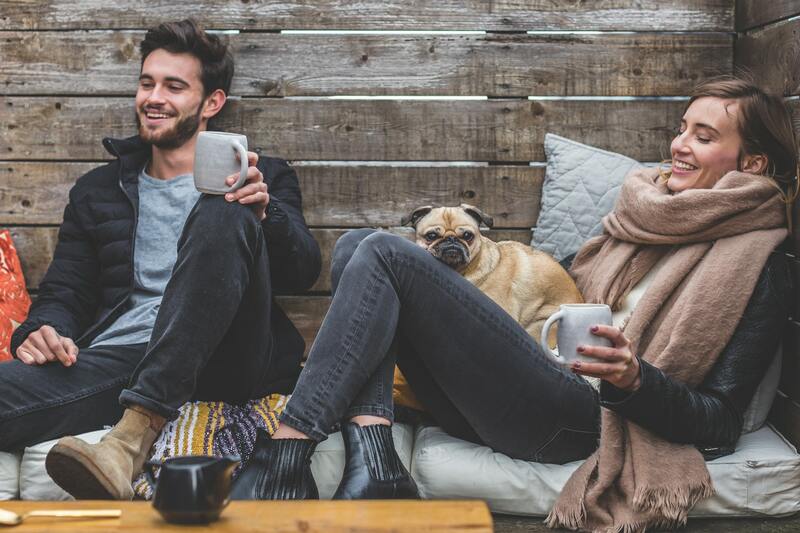 Depending on the arrangements, being in someone’s home could be awkward and a poor learning environment, or it could be comfortable and a good learning environment. Regardless, it almost certainly means that range portions of classes are held somewhere else; contact them to find out the location of the range they use—Google/Bing/etc. the range location. If shooting portions of the class are held at a “private range”, you should ensure that it is safe (has an adequate backstop well above the targets—you are responsible for every bullet that leaves your gun, whether in a class or not) and that it is actually insured commercially as a firing range (don’t be afraid to ask for proof). The NRA’s firearm training programs for both students and Instructor Candidates are well thought out, as are the rules for teaching them. Instructors and Training Counselors must teach the curriculum completely and as it is designed; they can add supplemental information, but they can’t skip parts. By not following the program as it is designed, Training Counselors are depriving the Instructor Candidates of receiving the training experience that they paid for and need to be prepared for teaching their own students. Two of the most common areas where this happens is insufficient Instructor Candidates and not having them conduct the range portion. Failing to have the Pistol Instructor Candidates conduct the range portion of the class is a particularly egregious violation of NRA Rules. The Instructor Candidates are supposed to be learning how to conduct the range exercises. The best way to actually learn it is to conduct it under the watchful eye of the Training Counselor. The firearms training world is constantly evolving; the same goes for the NRA training program. A Training Counselor needs to be constantly seeking out the latest information. This requires reading a great variety of information sources and being actively involved in online groups and forums for firearm trainers, especially those targeted at NRA Training Counselors. This, however, doesn’t mean adopting the latest, greatest, cutting-edge training/tactic/etc. and passing it along. The great Training Counselor evaluates everything they are going to teach, personally vetting it. We live in a media driven world where everyone in the firearms industry is trying to make a name for themselves by “inventing” the latest training/tactic/etc. and marketing it through social media. It’s the responsibility of the Training Counselor to separate the wheat from the chaff. The NRA concept of a Training Counselor is that they don’t just teach Instructor Candidates, they mentor them so that they can become the best possible Instructors. The relationship isn’t supposed to end after the class ends—Instructors are supposed to take their questions to their Training Counselor. If the Training Counselor doesn’t know the answer to an NRA related question, it’s their responsibility to contact NRA HQ, get an answer, provide it back to the Instructor, and know it the next time an Instructor asks. Mentoring doesn’t end with NRA questions, it includes the vast array of knowledge about firearms, firearm training, business, teaching, and more. The great Training Counselor doesn’t see other Instructors, or even other Training Counselors as competitors. They share their knowledge so that the training industry can evolve, making it better for students. They want to see others succeed, raising the bar and thereby the quality of available training. It is said so frequently in the firearm training world that it has become cliche, but it remains true that a great teacher is foremost a great student. The great Training Counselor thirsts for knowledge and seeks it continually. This can include taking training offered by other firearm trainers, but it must also include studying things such as adult learning and methods of instruction, shooting issue diagnostics, legal, trauma response, and anything else that impacts upon them, the Instructors they train, and the students of those Instructors. Teaching is far different from instructing. Instructing is delivering material typically developed by someone else. Teaching includes instructing, but the great Training Counselor takes steps to ensure not just that the material is covered, but that the material is learned and understood by their Instructor Candidates. The great Training Counselor can also add their own material that enhances what is learned and retained. The great Training Counselor understands that people learn in different ways. They have the knowledge and teaching skills to present important points in ways that all of the Instructor Candidates can grasp and retain. Any stories they tell will be aimed at illustrating a learning objective, not self-aggrandizement. The great Training Counselor is keenly aware of their own strengths and weaknesses. They aren’t afraid to admit they don’t know the answer to a question, but they will either seek out the answer or refer the Instructor to someone that knows it. Likewise, a great Training Counselor isn’t afraid to refer students to other Training Counselors and Instructors, especially if the training being sought is better received from someone else. First and foremost, you should consider the Return On Investment (ROI) of the training dollars you are going to invest. One of the worst mistakes you can make is allowing price to be a deciding factor—value is the appropriate yardstick. What are their financial expectations? What is their investment in training? What is the level of their experience and expertise? Of course, those factors don’t always enter into the Training Counselor’s pricing method. Some will simply seek to undercut the price of everyone else so that they get Instructor Candidates that are selecting classes on price, not value. Others may simply set a price that is in the ballpark of everyone else. So how do you determine the method a Training Counselor uses to set a price? Simple—ask them! If they are lower than most, ask them to explain how they can provide the same quality of training for less than others Training Counselors. If they are higher than most, ask them how that higher cost translates to the training experience that you will receive. If you are going to ask them questions concerning pricing, the most important question is how does the cost charged equate to value for you, the student? What did you learn from the NRA Instructors portal listing for the Training Counselor’s class? What did you learn about the Training Counselor and what you will experience in their class from their own website and Facebook page? What did you learn about the Training Counselor by doing an Internet search for their name? What did you learn about the location where the classroom portion of classes will be held? What did you learn about the location where the range portion of classes will be held? What did you find about the Training Counselor’s philosophies pertaining to firearms, firearm training, and mentoring? Taking the answers to all of those questions, you’re now in a far better position to discern the true value of taking a class from that Training Counselor. Did your instructor do this? In the defensive firearm world with the focus on hardware, proper grip, etc., as it should be, what often falls between the cracks is consideration of our significant others. They can unintentionally become an afterthought in the long-term preparation of safety and action. Planning for family safety must involve all members. It is easy to make assumptions of their response based upon your perspective and the expectations of their involvement during a deadly encounter. It is not uncommon for our partners to have a fear and hands-off attitude toward firearms. No one should be made to feel guilty because of their personal feelings about firearms. On the other hand, it can lead to lack of cooperation for a plan in the event of a crisis. Does that mean the end of the conversation? No. A crisis will involve them regardless, without their permission and with no regard to their feelings. When a predator makes a choice to invade and threaten your life and the lives of your loved-ones, passive ignorance by a partner really isn’t an option. During a deadly encounter, whether at home or out, their reaction can make the situation much worse if a plan of action and preparation isn’t in place. Panic is your enemy. Consider these options. Have an honest conversation. Plan what they need to do. Whether it is grabbing the phone and hiding in a safe closet, running to a neighbor, or knowing what to do in the public arena, give them something to do. Taking the attitude that you will “protect them” isn’t good enough. Frightened people panic, freeze and often become unintentional targets. They can become distractions or obstructions to your engaging a threat. 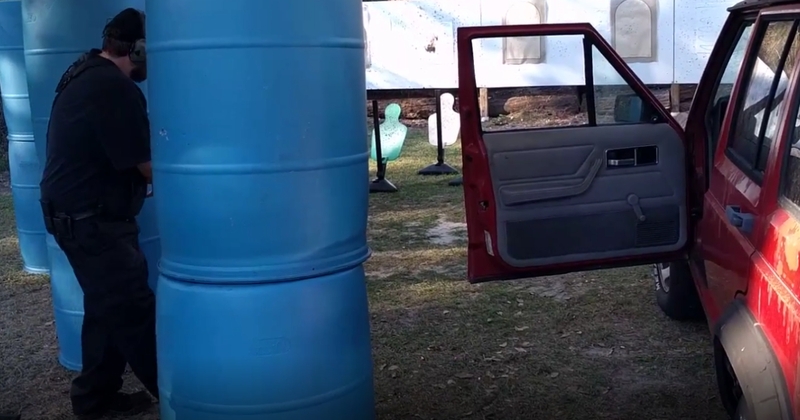 Strategic Outfitters is launching a new class for family safety, Critical Home Defense, a three-phase course: Classroom, Computer simulator and in-house practical located at our dedicated facility. Teamwork can make the difference between life and death.